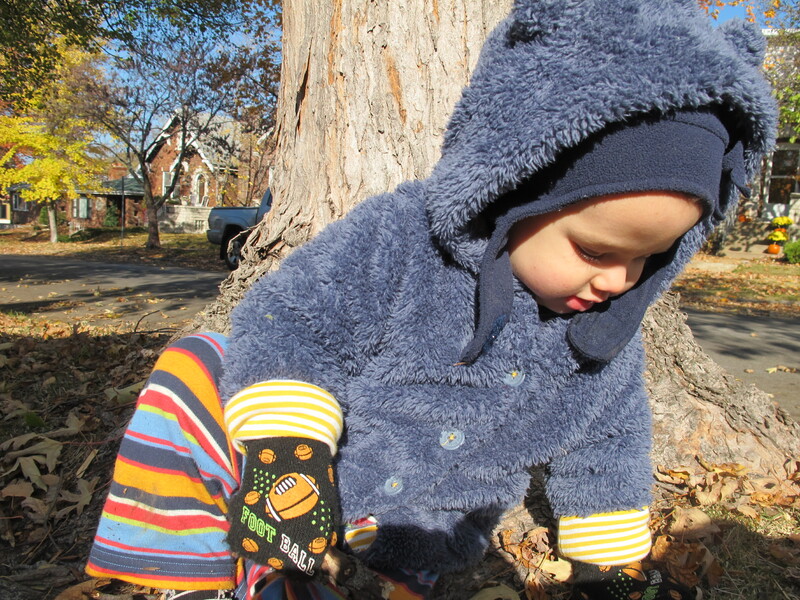 Gabriel loves the outdoors, and while we have a great park within easy biking distance, and another smaller park and playground just over a block away, there’s nothing quite as simple as heading outside for a stroll. 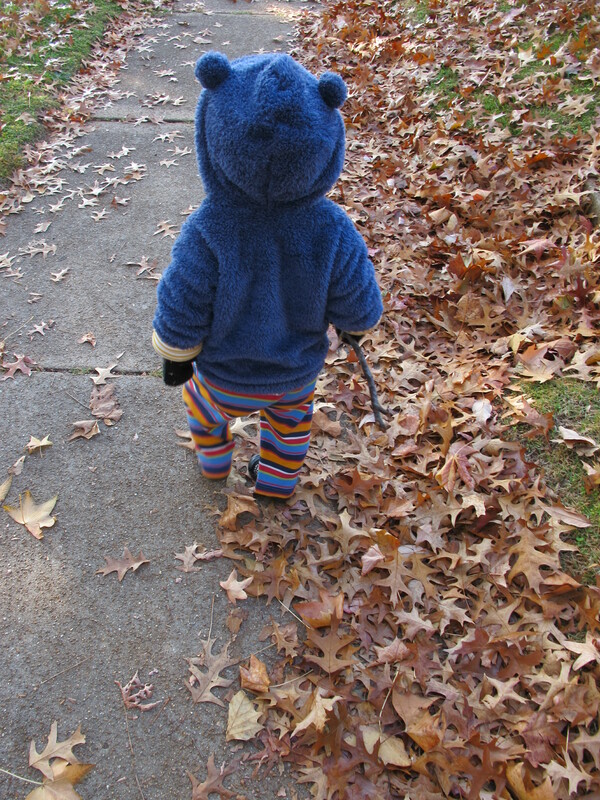 Stick (or rock, or acorn) in hand, he’s ready to go. Sometimes we spend thirty minutes investigating the area within four houses of our apartment. Other times we make it all the way around the block. 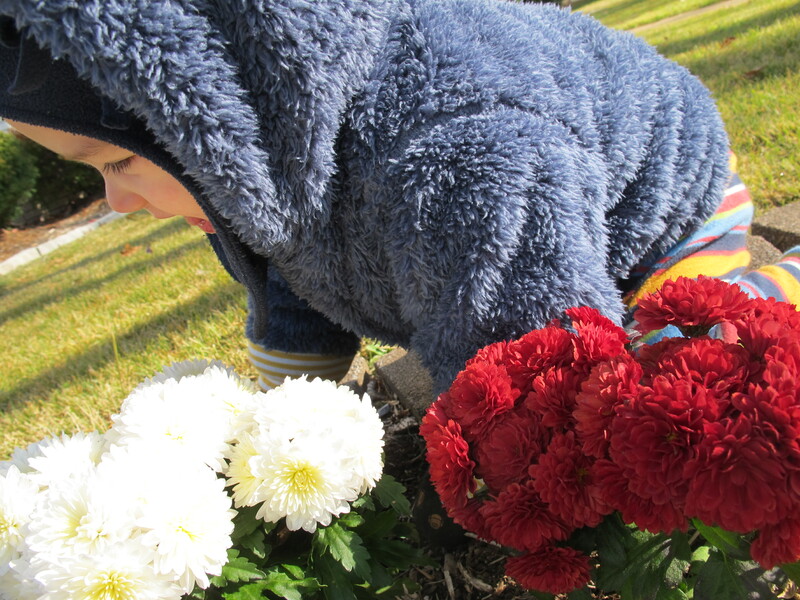 I enjoy the lazy pace of our strolls — pausing, reversing course, stopping to eat smell flowers. What you notice and take in depends so much on your mode of transportation. In a car, houses, trees, and entire blocks fly by — gone in a blink, even at relatively low speeds. On a bike, you’re much more aware of your surroundings, but even then, you roll by, sure to miss some details. On our wanderings, we’re really part of the fabric of the street, experiencing everything at human speed. 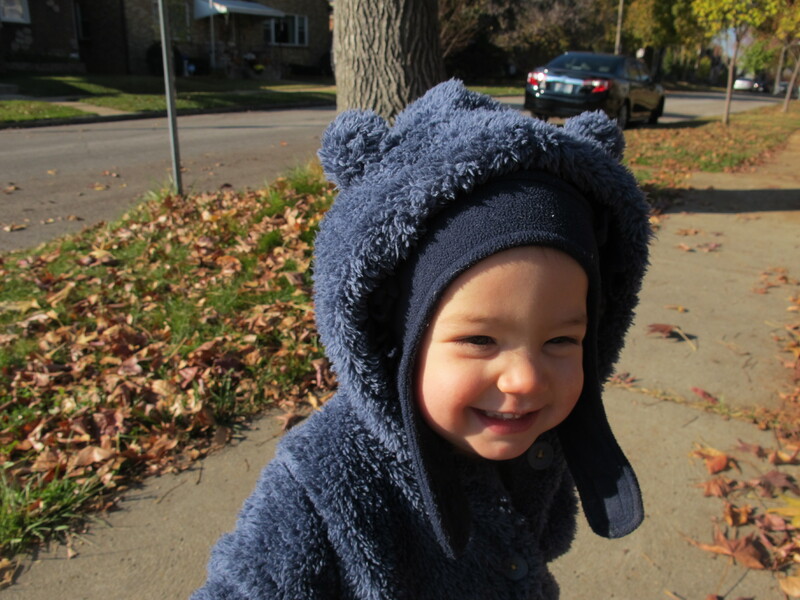 It’s a guaranteed way to shrug off the grumps, and I have a feeling that someone’s smile (and adorable fuzzy coat) has that effect on most everyone we pass. Find a pile of leaves at the base of a nice tree, sit down with the sun on your face, and settle in to your little nest. Sometimes its good to have nowhere to go. This entry was posted in Cuteness, My Life and tagged walking. Bookmark the permalink. I love this!!! Can’t wait to see you all!